If you have your finger on the pulse of the wellness world, you might know that it's been a rough couple of years for the supplement industry. That's not to discount the rise of ingestible beauty, as there's certainly an amazing boon of complexion-perfecting formulas, Ayurvedic herbal blends that beautify from the inside out, and all kinds of nutrition-packed options to choose from. But for many generic vitamins and supplements, it's a different story—a stream of recent research has shown that when you buy one thing, you might actually be getting something completely different. One study released in October of last year, for example, found that some brain and workout supplements contain prescription drugs that aren't approved in the U.S. Another found that calcium supplements are essentially useless, if not harmful. Earlier in 2015, the New York government actually launched an investigation into herbal supplements sold by several major retailers, and the findings were pretty telling: Only 21% of the formulas tested actually contained the ingredients they claimed to. The rest were unverified filler ingredients. Scary? For sure. 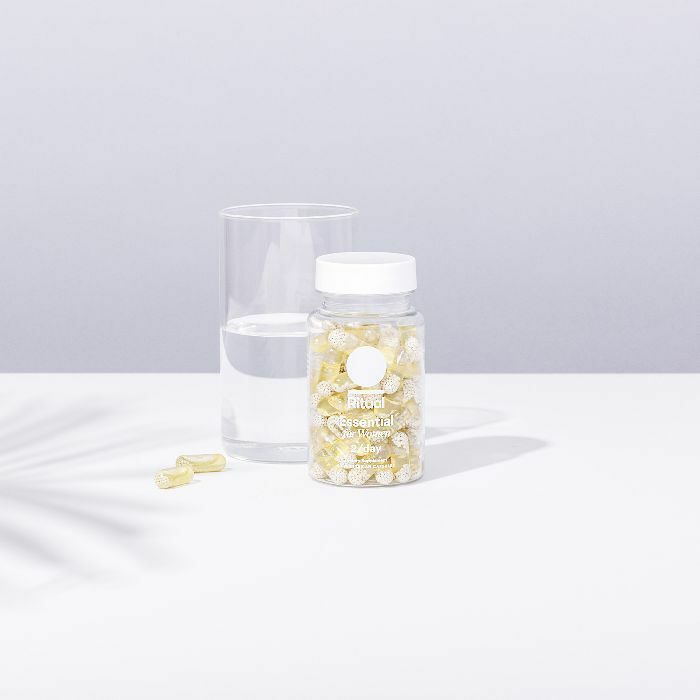 And it's for these reasons that Katerina Schneider decided it was time to turn the industry on its head, launching a company that was completely transparent about its sourcing of quality, effective ingredients—and, in turn, creating a truly superior multivitamin for women. Thus, Ritual was born. Using "for skeptics, by skeptics" as its mantra, Ritual sets out to take all the guesswork and pseudoscience out of something that should be ridiculously straightforward: taking your vitamins each day. The brand's first and hero product, Essential for Women, is a multivitamin that contains just nine quality ingredients to fill any potential nutritional gaps in your daily diet. It's hardly surprising that Schneider's concept has the startup world abuzz—this week, Ritual announced that it had raised an additional $10.5 million in funding—and the rest of the population is sure to follow. Because honestly, we put enough time and effort into looking and feeling our best without having to analyze the side of a vitamin bottle and hope for the best. See which other supplements we can get behind. This post was originally published on October 20, 2016, and has been updated.